Joaquín Torres-Garcia was a Spanish Uruguayan artist and theorist best known for his contributions to European and Latin American Modernism. Torres-Garcia’s works evolved to incorporate elements of both Cubism and Constructivism, all while maintaining an idiosyncratic quality of its own. “The architectural, constructive sense of his painting produces a dissociation between drawing and color that remain as two separate entities,” he once wrote of his work. Born on July 28, 1874 in Montevideo, Uruguay, he spent much of adult life living in Spain where he attended the School of Fine Arts in Barcelona. 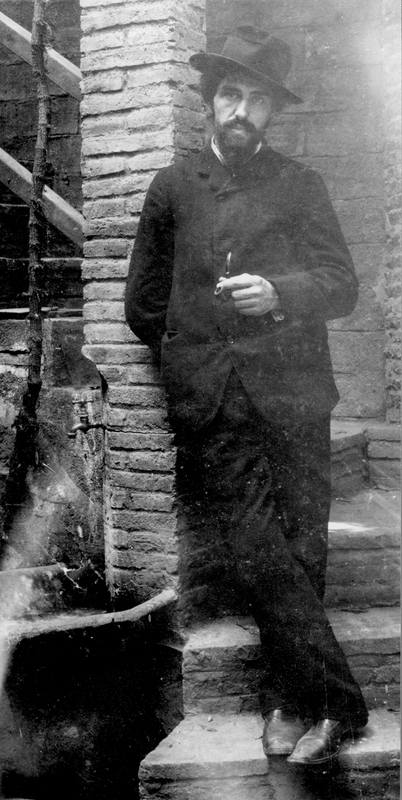 In Barcelona, Torres-Garcia befriended both Pablo Picasso and Antoni Gaudí. The artist traveled to New York in 1920 but settled in Paris during much of the decade, where he exchanged ideas with Piet Mondrian. In 1934, he returned to Uruguay and introduced a number of formative ideas to young artists in the country. Torres-Garcia died on August 8, 1949 in Montevideo, Uruguay. Today, the artist’s works are held in the collections of the Art Institute of Chicago, the National Gallery of Art in Washington, D.C., the Museu Nacional d'Art de Catalunya in Barcelona, and the Bilbao Fine Arts Museum, among others.